Have you ever noticed a student solving a problem such as “20 – 19” like this? In the first situation the student used an algorithm correctly, but why? What was the need? In this case, they used an algorithm unnecessarily. In the second situation the student demonstrated an over-reliance on an algorithm they did not understand. What’s worse is that in both situations the students were not thinking about the numbers and their relationship to each other – they didn’t immediately recognize that the difference between 20 and 19 is one. In both cases, there’s a problem – a problem easily solved by implementing number talks into your daily routine. If you want to transform the mathematical thinking of your students, this article is for you. Let us share how you can begin this transformation. 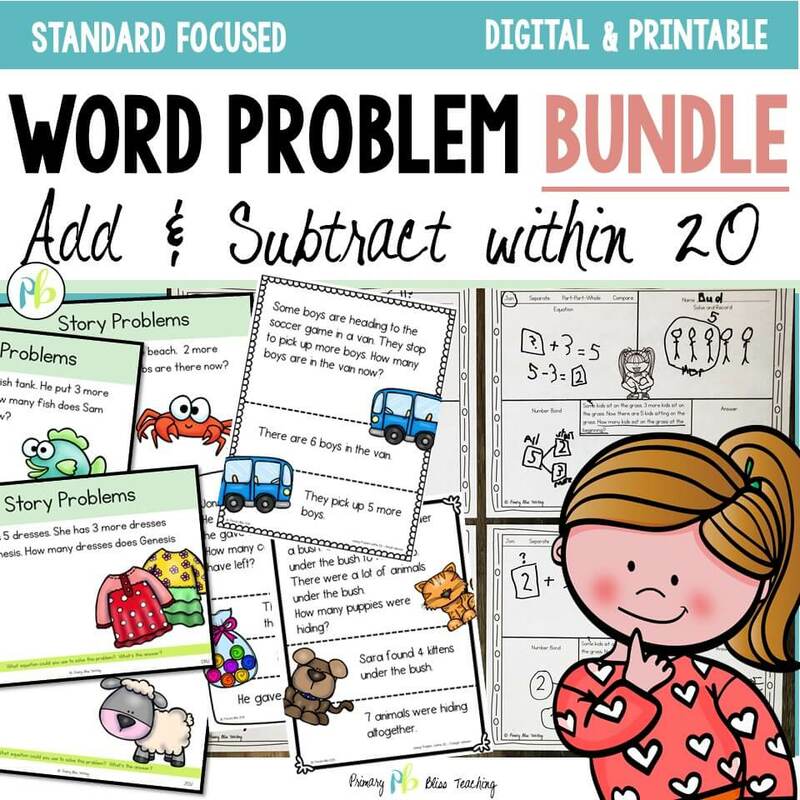 A number talk is a short (5 – 15 minute) daily mental math activity where students use and share their strategies for solving thought provoking mathematical problems. This activity is student led and is an opportunity for students to reason their way through mathematical situations. As students engage in number talks they engage in academic conversations with peers as they justify answers, explain their thinking, and respond to others. We want students to be thinking and talking about numbers during this time. As students engage in number talks, they begin to strengthen their accuracy, efficiency, and flexibility with solving math problems. Additionally, students learn to clarify their thinking, as well as learn efficient strategies from each other. One important thing to consider when creating number talks for your classroom is to make them open-ended. Problems can be open-ended in a couple of ways. Some problems are open-ended because they have multiple answers. Take for example a number talk we did earlier this year. We asked our students what they know about the number 7. This problem has multiple answers. Here are a few that we heard in our classrooms. 7 is an odd number. 7 can be made up of two parts – 6 and 1. 8 take away 1 is 7. It’s a higher number than 1. 7 + 0 is 7. 7 is greater than 1. 10 is greater than 7. 3 and 4 more is 7. You get the point. The possibilities are endless! Another type of open-ended problem has one answer, but multiple strategies could be used to solve the problem. This week we asked our students to solve 8 + 7. While most all students answered 15, they arrived at the answer using a variety of strategies. Here are some of the responses our students shared when asked to explain how they know that 8 + 7 equals 15. I know the answer is 15 because I used my doubles. 7 plus 7 is 14, one more is 15. The answer is 15 because I put 8 in my head and counted on 7 more. 15 because I made a ten. I took 2 from the 7 to make a 10, plus 5 more is 15. It’s 15 because 8 plus 8 is 16. One less would be 15. So that’s the answer to “What are Number Talks” …in a nutshell. We cringe. We say it isn’t so. We tell them they can do it! And they can! So Why Should You Do Number Talks? First and foremost, you want your students to understand mathematics, not memorize a set of meaningless rules and procedures. You want your students to think about math in a way that makes sense to them… to understand numerical relationships and apply them. You want your students to be able to confidently explain their thinking….explain what they did and why they did it….to defend their answers and reason through them…to be flexible with numbers and have reasonable answers. 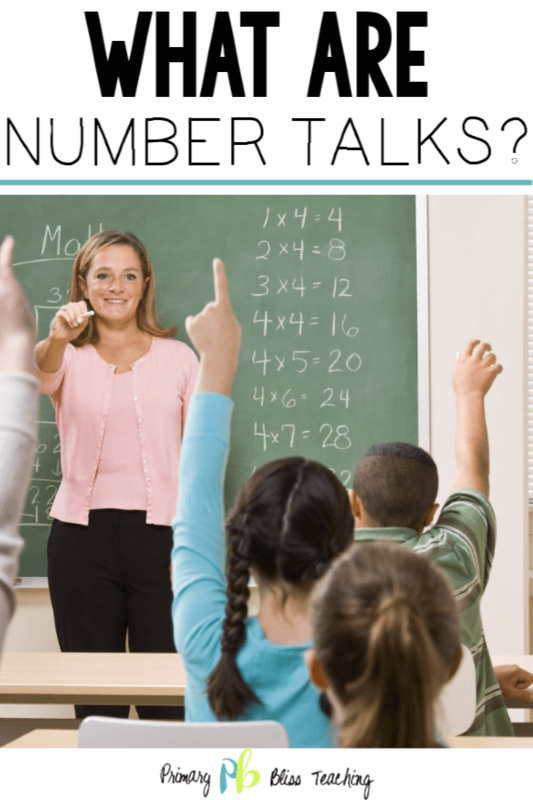 Number talks is one way to build your students’ confidence. It’s a way to show your students …to prove to them…they can do it! They are mathematical thinkers – mathematicians. Why? Because all students can learn math. All students have the capability to be good at math. Additionally, when students share their thinking, it helps you to understand where kids are mathematically and what you need to do to propel them further. In other words, what do they know conceptually, and what are they ready to learn. You will be amazed at what you will learn about your students by simply listening to them as they reason through a mathematical problem. Life changing we tell you! 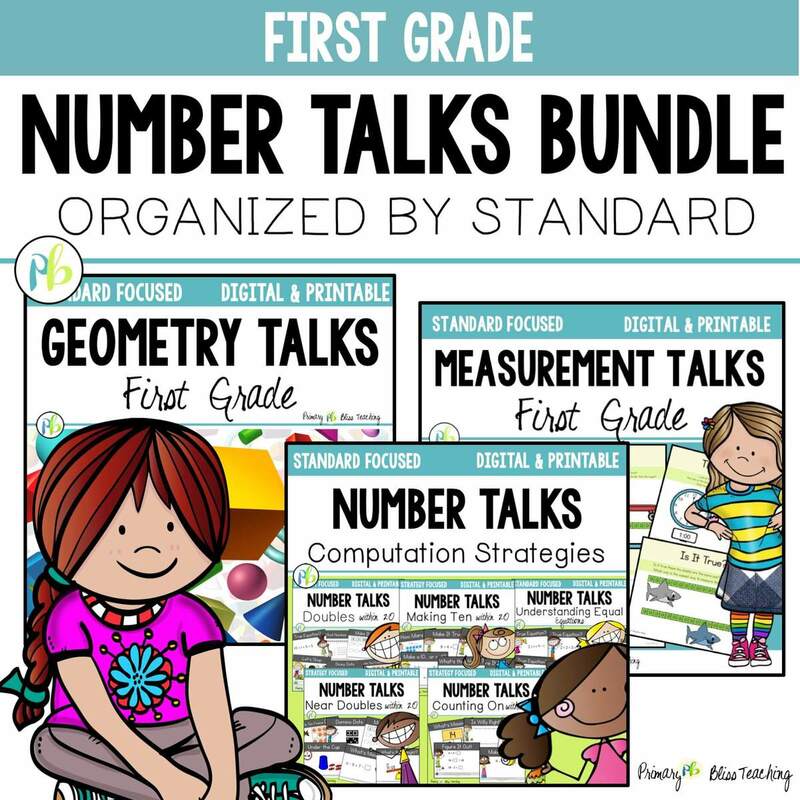 We believe wholeheartedly in the power of number talks and its ability to transform mathematics in your classroom. 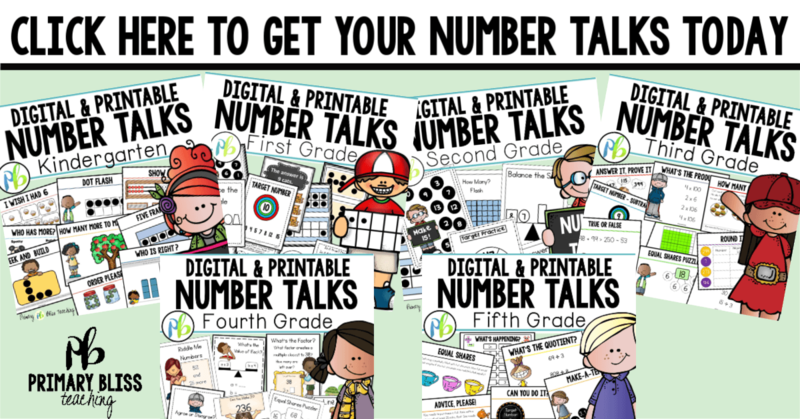 If you’re interested in number talks, check out our yearlong number talk programs. Try It and Let Us Know What You Think. 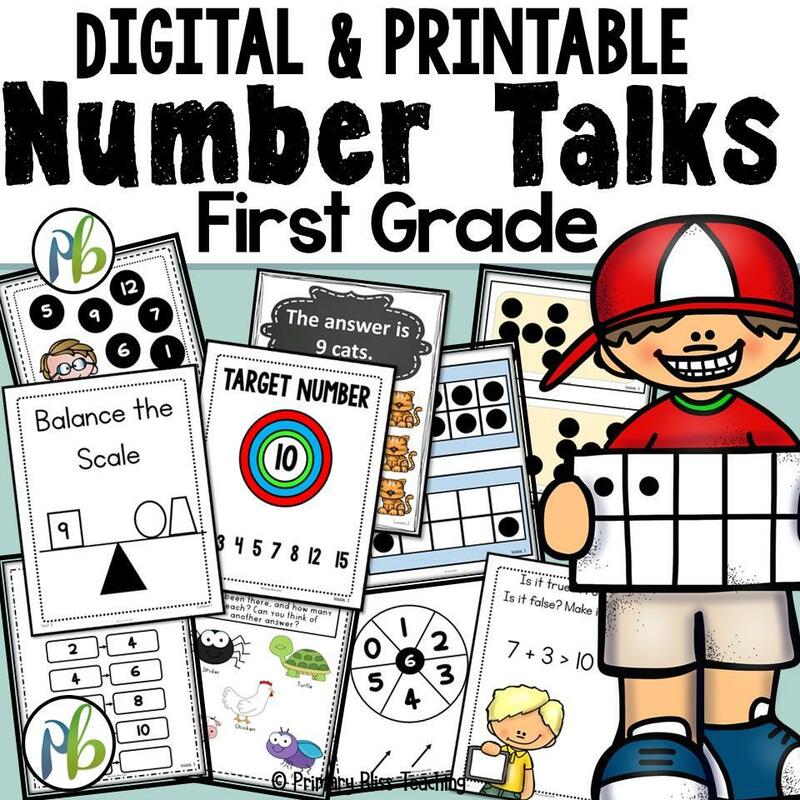 In our next blog article we will walk you through a number talk from start to finish. Until next time – Happy Teaching!